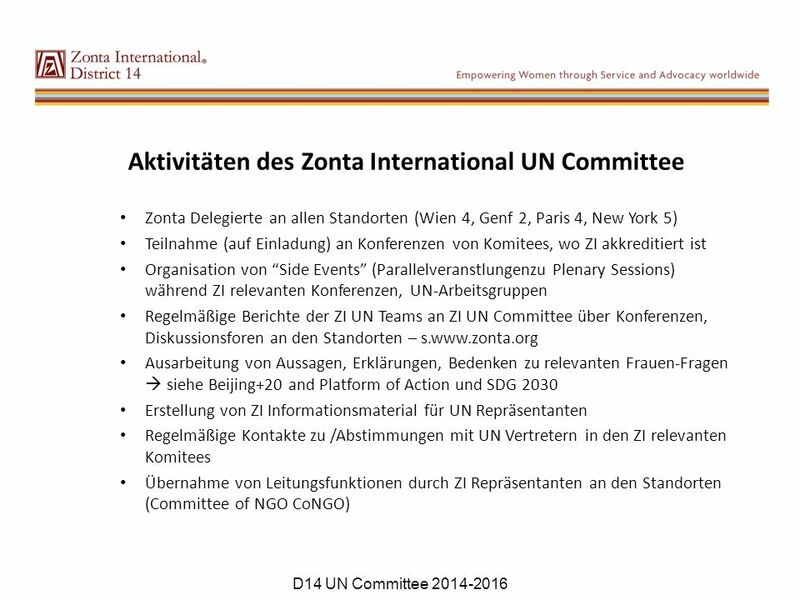 ZONTA INTERNATIONAL - NGOs und Kooperation mit UN Barbara Devin ZC Fünf Seen Land D 14 UN Committee Chair 2014-2016 D14 UN Committee. 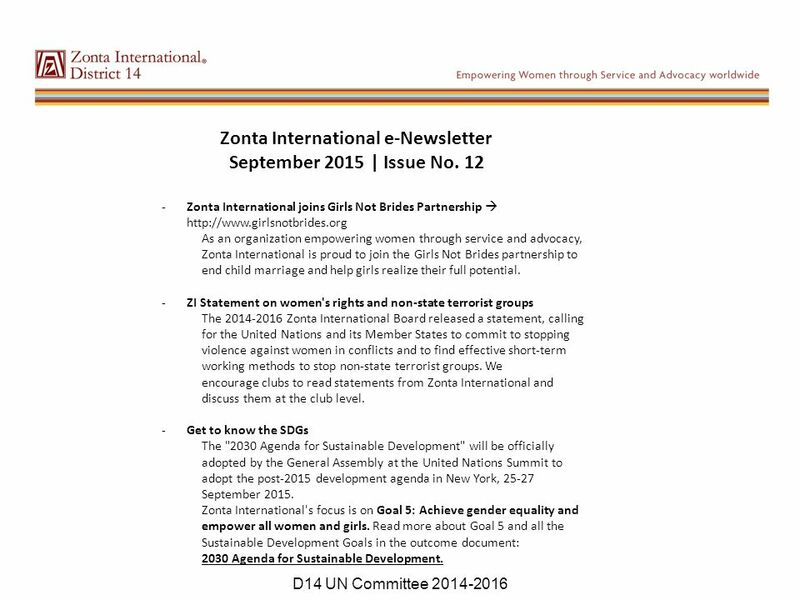 23 Zonta International e-Newsletter September 2015 | Issue No. 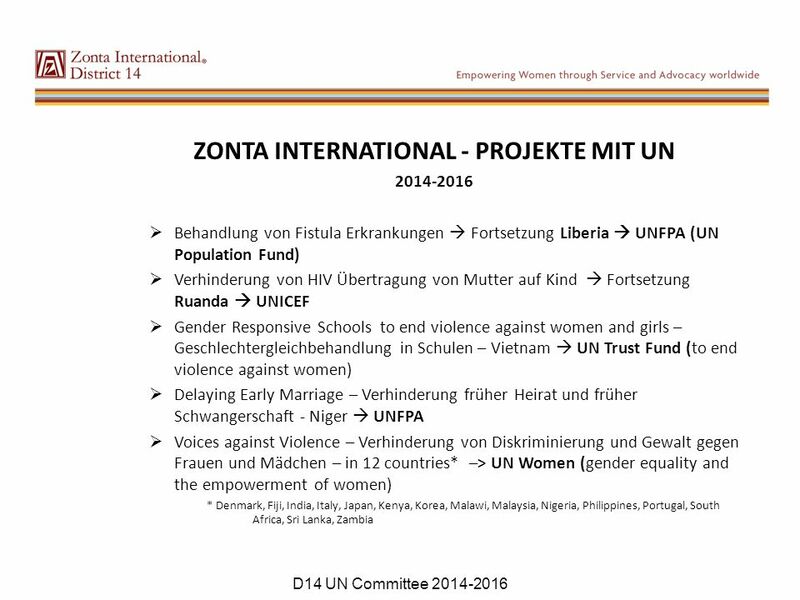 12 -Zonta International joins Girls Not Brides Partnership  http://www.girlsnotbrides.org As an organization empowering women through service and advocacy, Zonta International is proud to join the Girls Not Brides partnership to end child marriage and help girls realize their full potential. 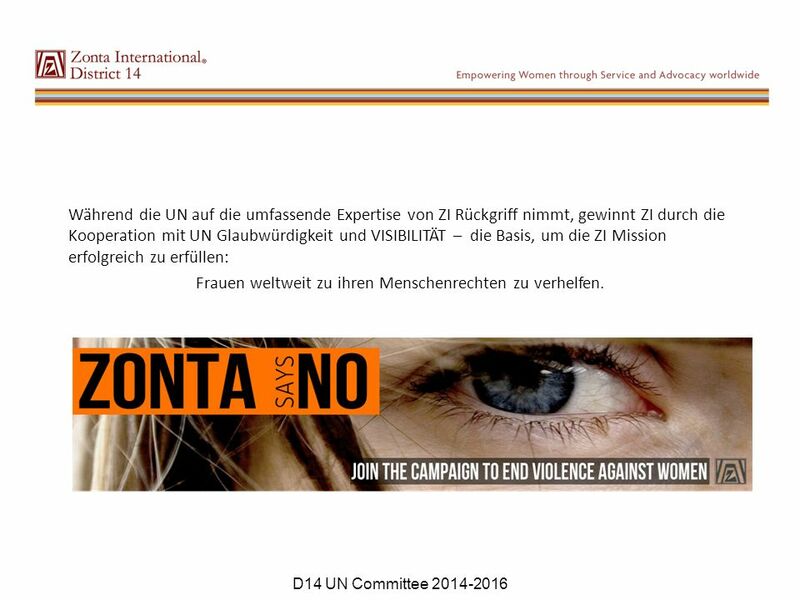 -ZI Statement on women's rights and non-state terrorist groups The 2014-2016 Zonta International Board released a statement, calling for the United Nations and its Member States to commit to stopping violence against women in conflicts and to find effective short-term working methods to stop non-state terrorist groups. 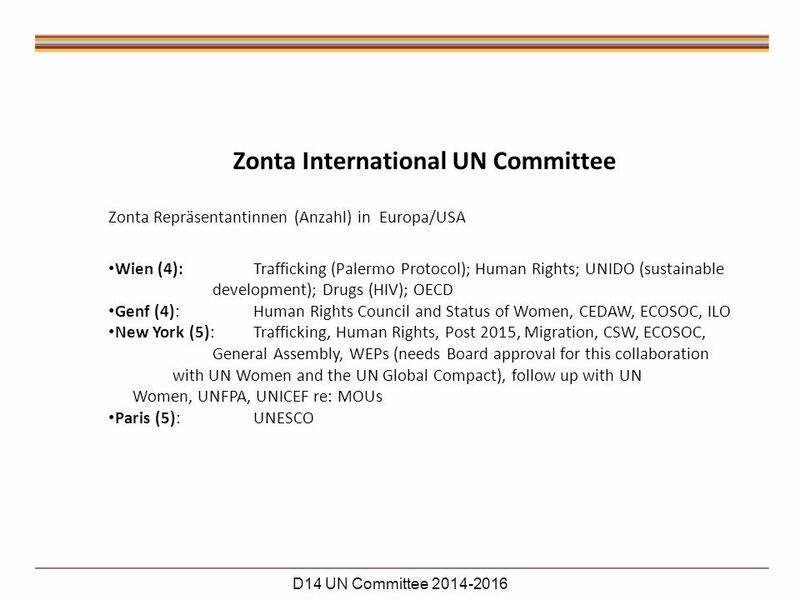 We encourage clubs to read statements from Zonta International and discuss them at the club level. 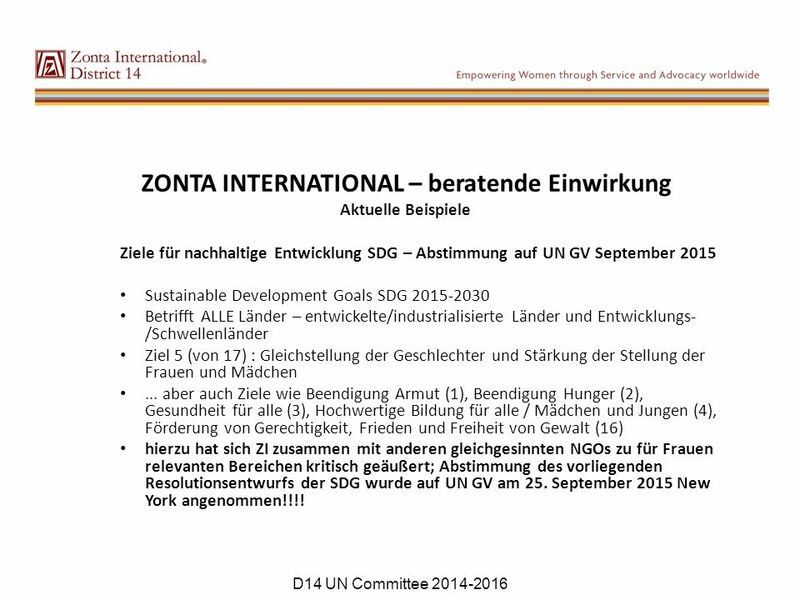 -Get to know the SDGs The "2030 Agenda for Sustainable Development" will be officially adopted by the General Assembly at the United Nations Summit to adopt the post-2015 development agenda in New York, 25-27 September 2015. 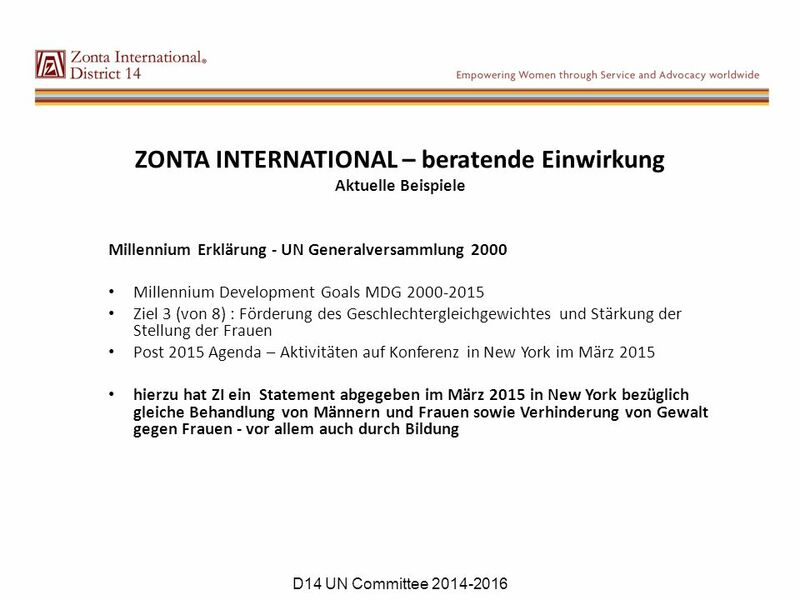 Zonta International's focus is on Goal 5: Achieve gender equality and empower all women and girls. 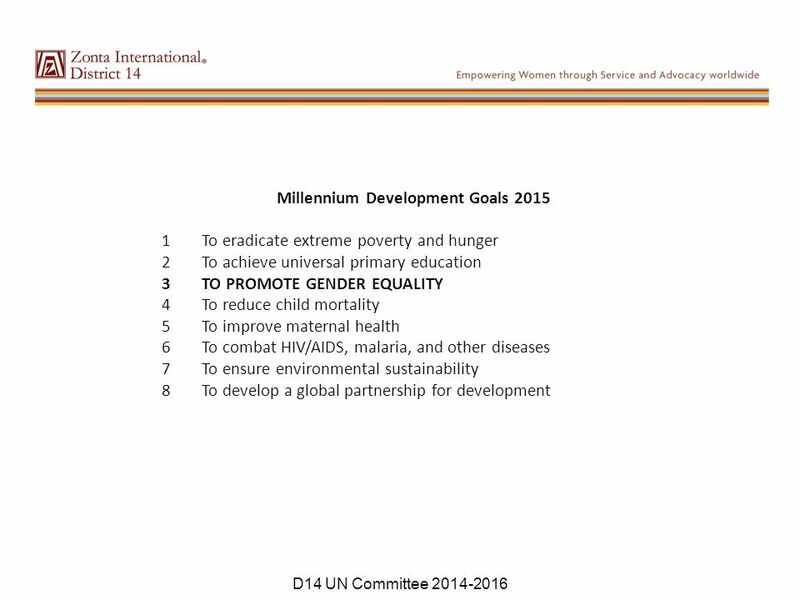 Read more about Goal 5 and all the Sustainable Development Goals in the outcome document: 2030 Agenda for Sustainable Development. 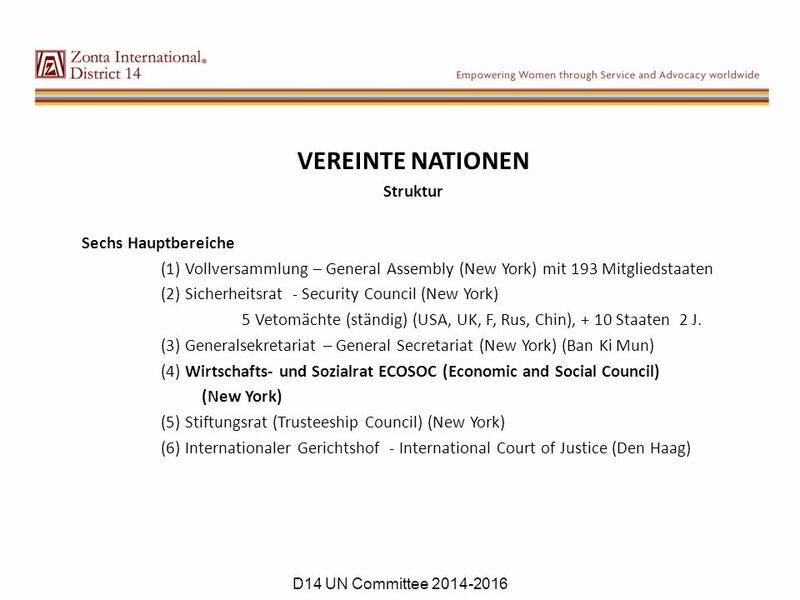 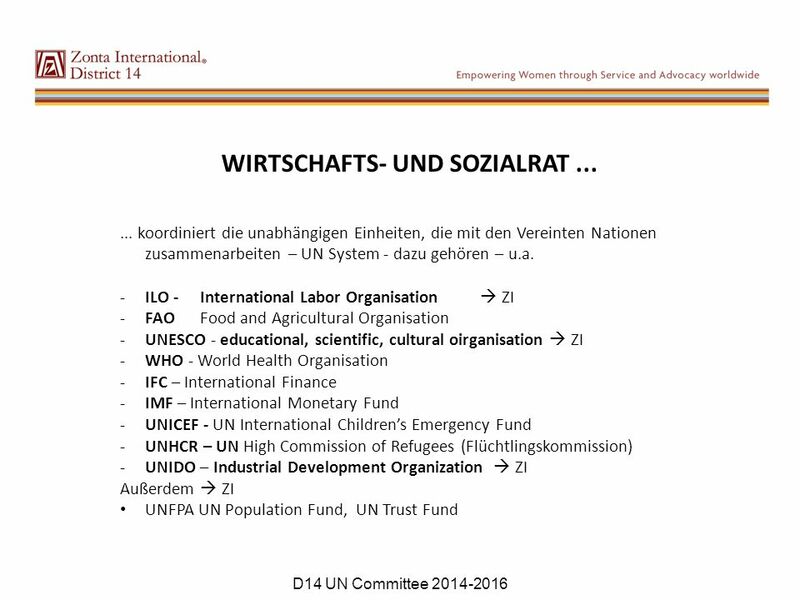 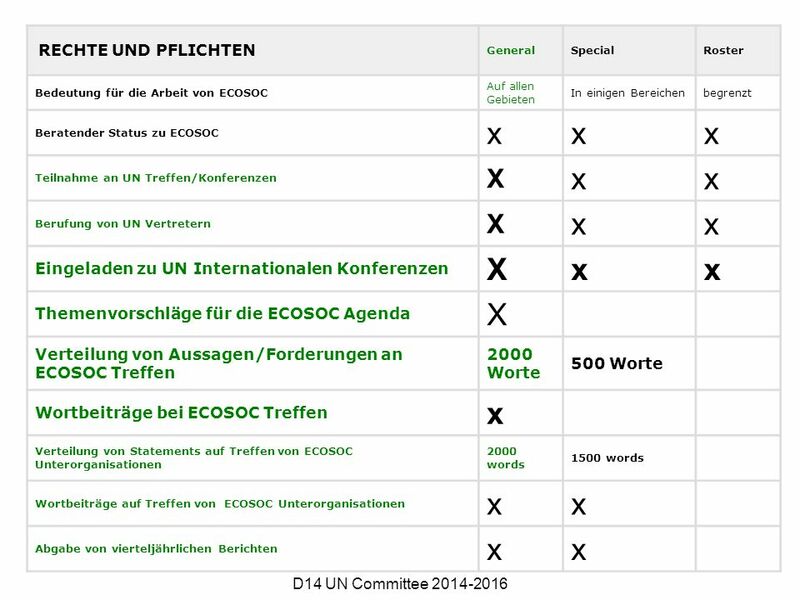 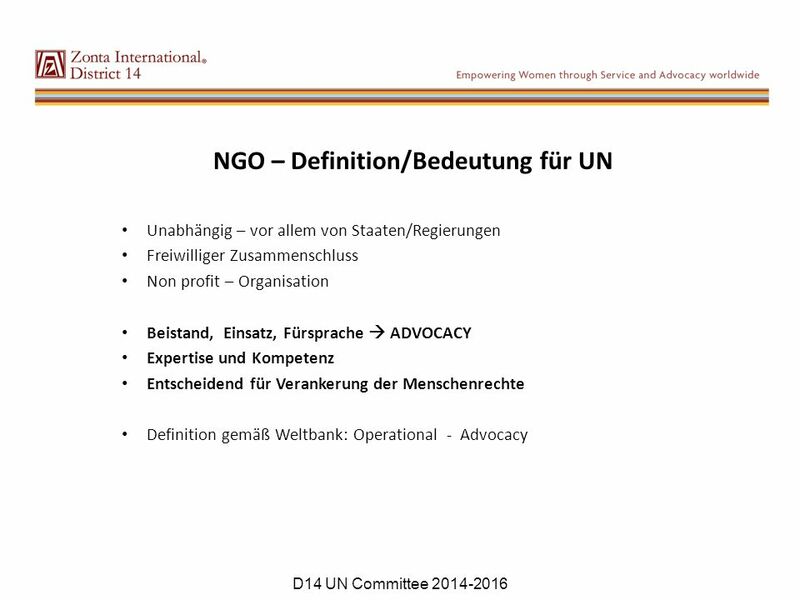 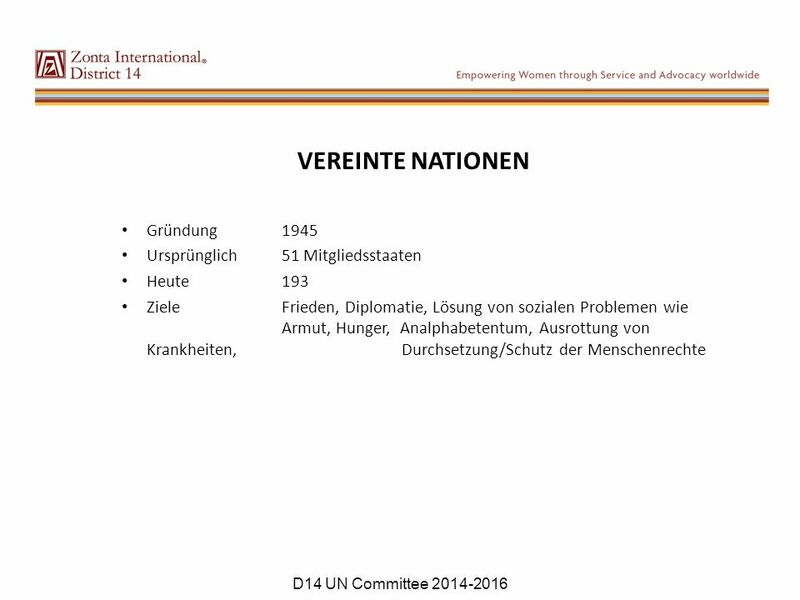 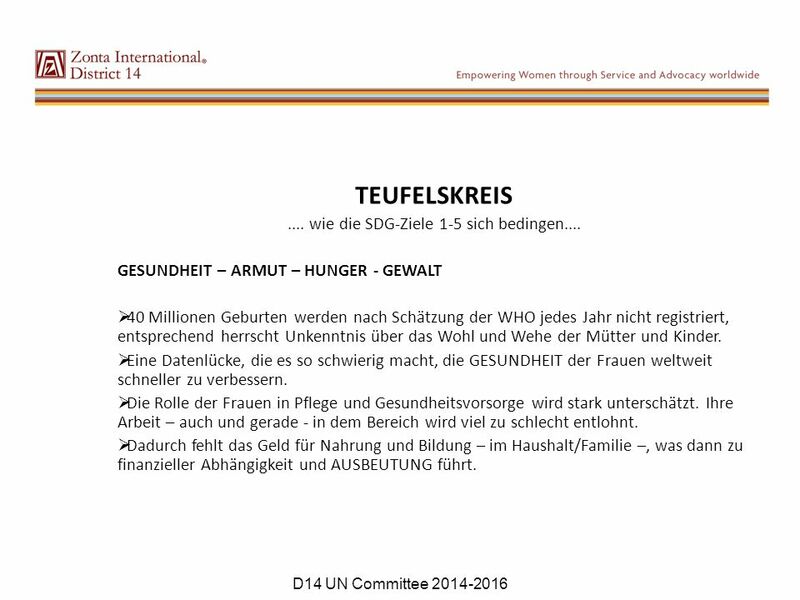 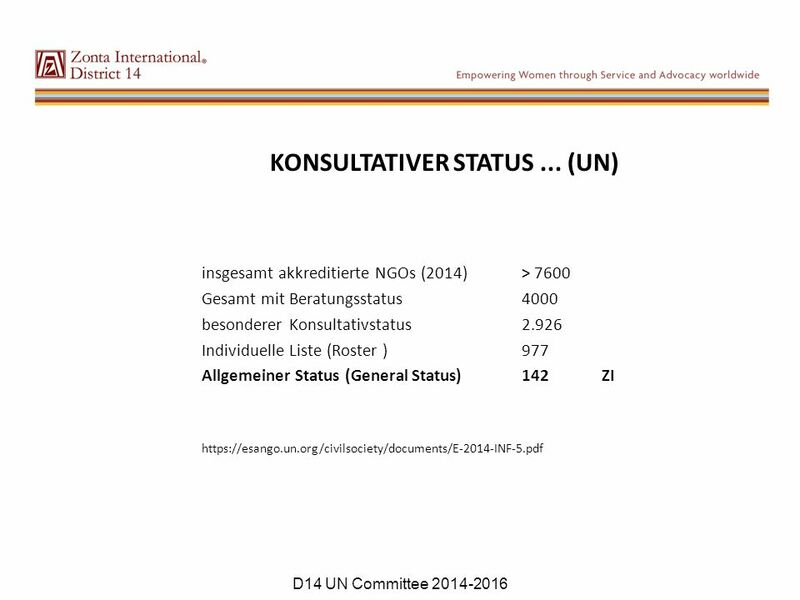 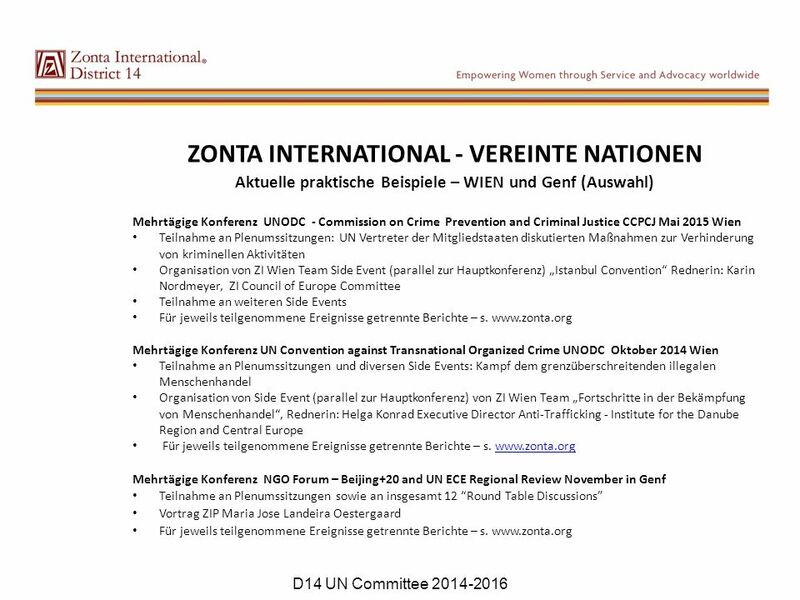 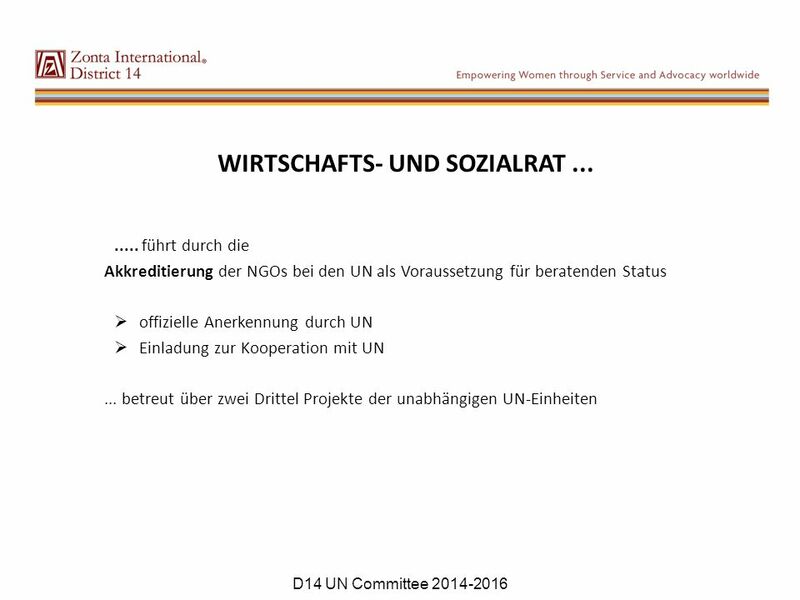 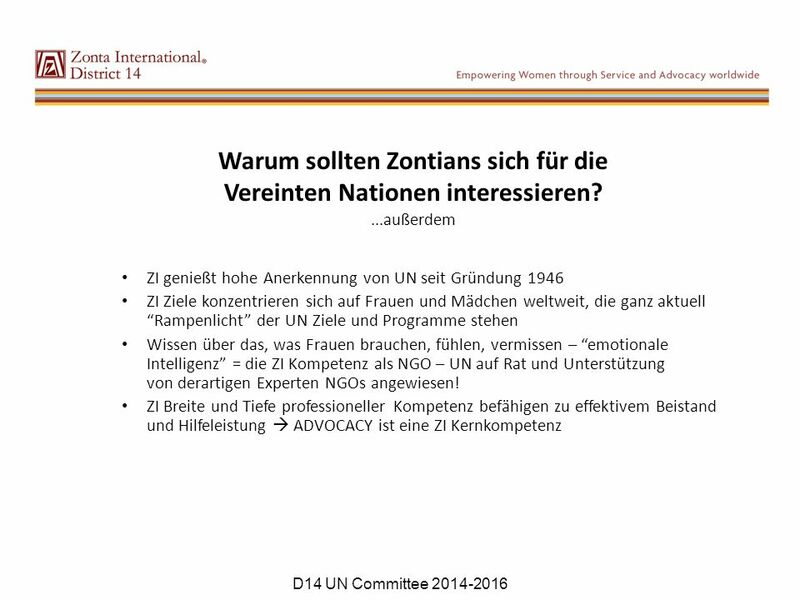 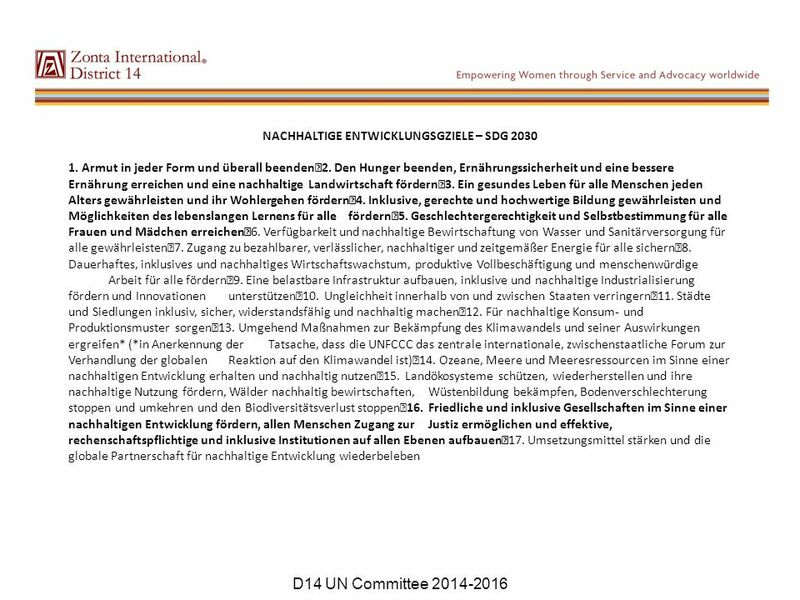 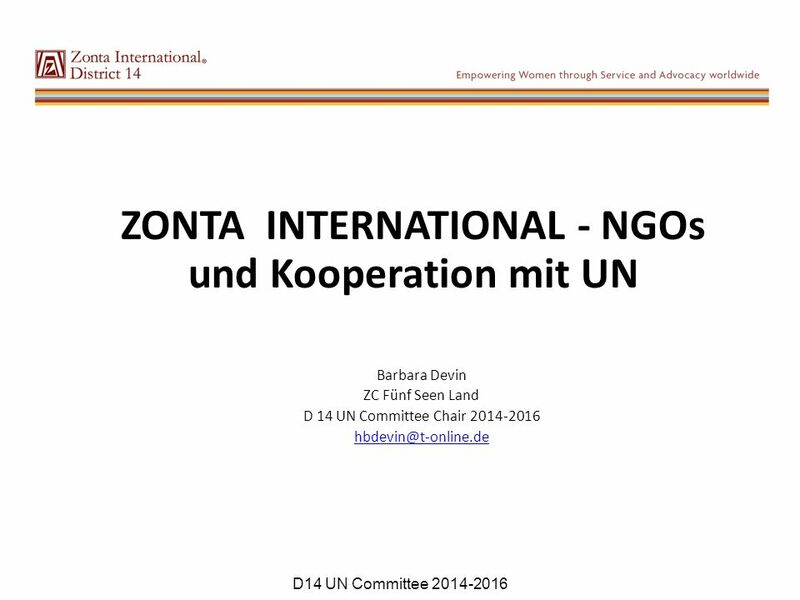 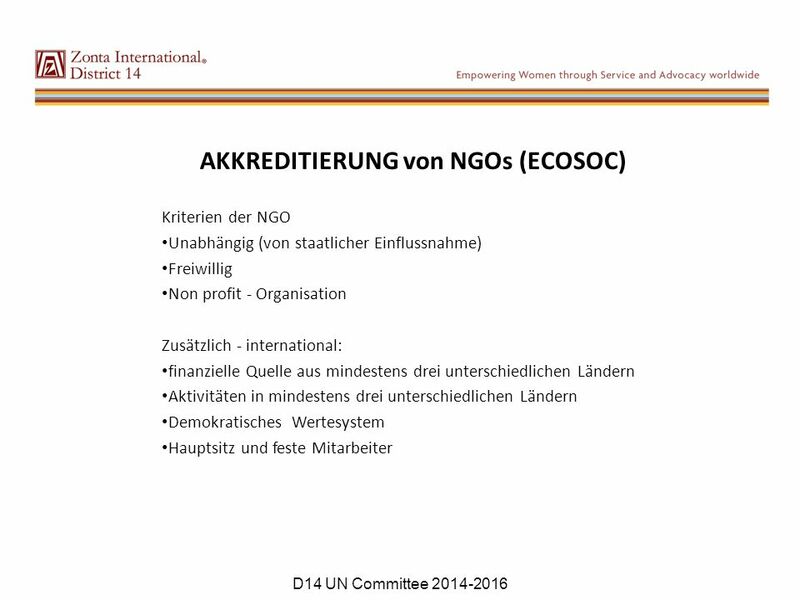 Herunterladen ppt "ZONTA INTERNATIONAL - NGOs und Kooperation mit UN Barbara Devin ZC Fünf Seen Land D 14 UN Committee Chair 2014-2016 D14 UN Committee." 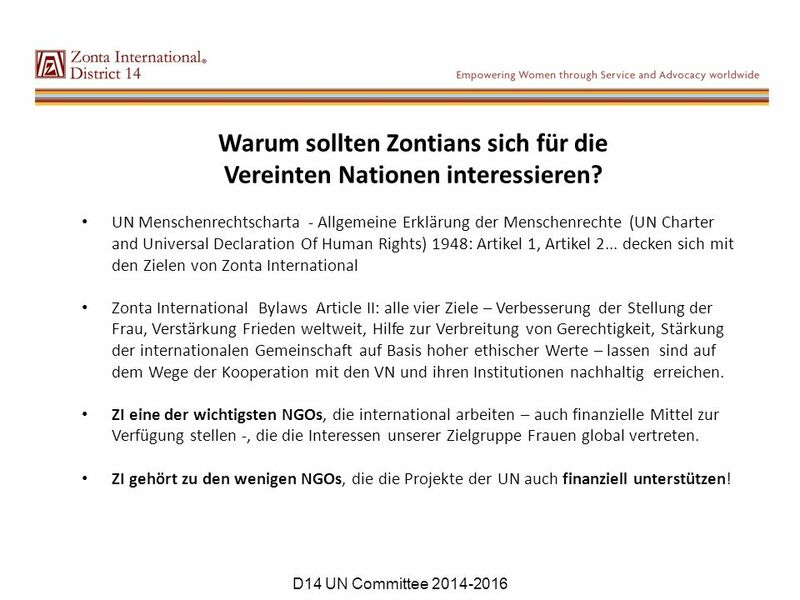 Wer ist Horyzon? 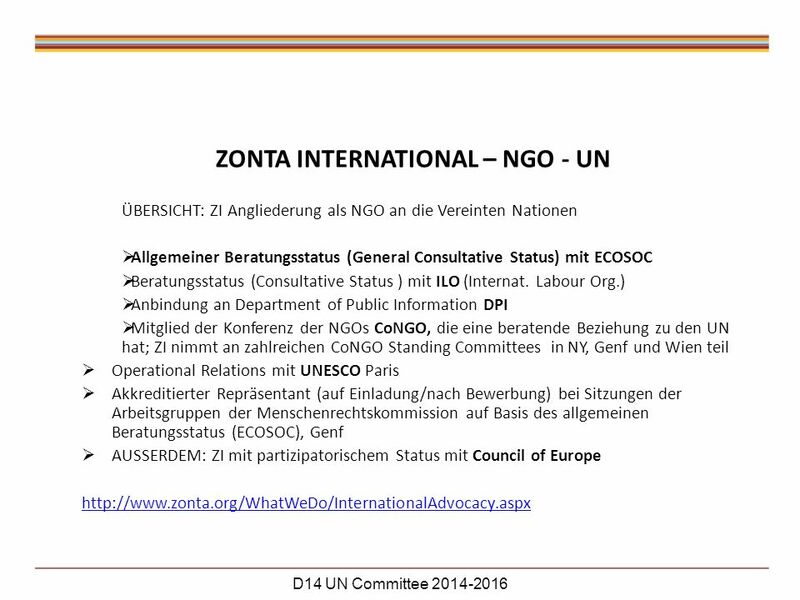 Horyzon ist die Schweizer Entwicklungsorganisation für Jugendliche. 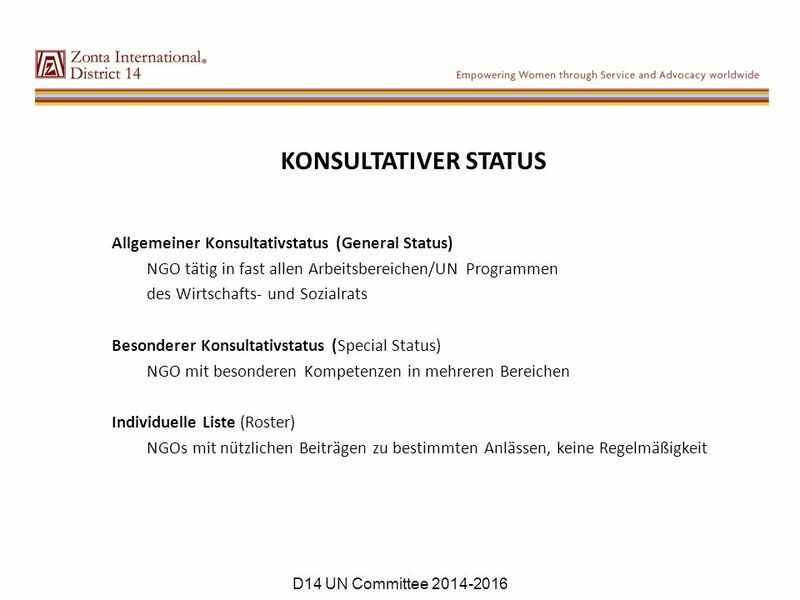 Horyzon arbeitet im Netz der weltweiten Jugendbewegung YMCA/YWCA.